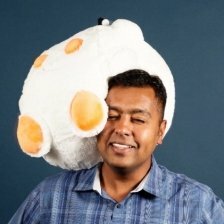 Anand Mariappan is the Senior Director of Engineering for the Foundations group at Reddit, the 5th most visited site in the US. In his role, Anand is leading the charters for Search, Machine Learning, Data Science, Platform, and Operations to deliver personalized and relevant Reddit experiences across all platforms. Prior to this, he led the redesign of the Reddit desktop experience and launched a native video platform that now drives 1 billion monthly video views. Prior to Reddit, Anand spent eight years at Microsoft in various engineering leadership roles; the most notable being, an Engineering Manager for the PowerBI app experiences and cloud services team, in which he helped to drive the product as it scaled from 0 to 5 Million subscribers.